A couple of weeks ago, I made the case that, in the early days of Linux, most of the momentum behind the open source operating system revolved around building a Unix-like system that could run on personal computers and would be free, as in cost no money. The enthusiasm about freely shared code came later. A couple of weeks ago, I made the case that, in the early days of Linux, most of the momentum behind the open source operating system revolved around building a Unix-like system that could run on personal computers and would be free, as in cost no money. The enthusiasm about freely shared code came later. Today, I’d like to extend that argument further, focusing on changes in the commercial atmosphere surrounding Unix and personal computers in the 1980s and early 1990s. First, though, let me make clear that—despite what some uncharitable readers seem to think judging from their comments about my earlier post—I’m not out to denounce Linux or free software, or to make Linus Torvalds out to be a penny-pinching poser. Far from it: I love Linux and open source (and, although I’ve never met Torvalds, he seems like a really great guy), so much so that controlling for my bias in their favor is one of my biggest challenges as I research a book about the history of free and open source software. But I also want my book to present a more objective, fact-based interpretation of the conditions surrounding Linux’s birth than the one that comes out of existing accounts, which were all written by, or in close collaboration with, people who were themselves active leaders of the open source community—making their versions of the story inherently subjective. In particular, I seek to re-evaluate the narrative that Eric S. Raymond presents in his essays, “A Brief History of Hackerdom” and “Revenge of the Hackers,” in which he takes as a given that most open source programmers, including those involved in the early Linux movement, were card-carrying “hackers” who programmed because they cared deeply about the principle of sharing code, not because they were worried about money, cost and the commercialization of software. As I pointed out previously, that’s not the story that emerges if you look at early Usenet posts about Linux, where Torvalds and his supporters appear primarily interested in the fact that Linux was free-as-in-beer and free of a commercial license, not that the code would be freely shared. Placed within the context of the time period, those attitudes only made sense. That’s what I’d like to focus on today. To understand the impetus behind Linux when Torvalds wrote the first version of it in 1991, it’s necessary to grasp the concerns of programmers and computer-science students of the time. Back then, Unix was the operating system of choice for most of these people. It was what they knew best, and it provided a lot more programming power than the dumbed-down, consumer-oriented platforms (of which MS-DOS, the progenitor of Microsoft Windows, proved the most enduring) that emerged with the personal-computing revolution. Following Unix’s development at AT&T Bell Labs in 1969, it spread to academic computer science labs—the same places where many future open source luminaries cut their coding teeth. For a while—about 10 years or so—Unix remained affordable and, more importantly, computers remained expensive enough that very few people had them in their homes. Instead, they ran Unix on their employers’ or universities’ machines. 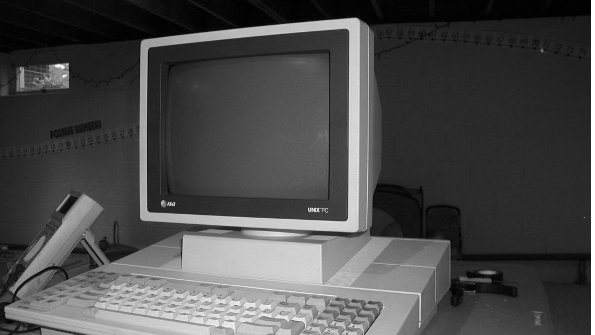 Things started changing in the late 1970s, when personal computers began hitting the market, making it possible for ordinary people to own a computer. At the same time, Unix became more expensive, as licensing fees increased dramatically. These conditions presented hackers with a conundrum: For the first time, it was possible to have a computer in your home, but you couldn’t afford to run Unix on it unless you were a millionaire. And if you couldn’t run Unix, what was the point of having a personal computer? In response to this challenge, there were some efforts to create affordable Unix clones for use on personal computers. One of the most successful was Minix, an operating system designed by the computer science professor Andrew Tanenbaum that appeared in 1987. (Other, more commercial Unix clones also existed, but most had little success. And there was, of course, GNU, a project with more clearly ideological goals, but it chronically failed to produce a viable open source Unix kernel.) Importantly for our story, the source code for Minix was freely available to universities, yet the operating system was not free to use. Torvalds and the early Linux crowd were not the only ones thinking this way. Indeed, as Peter Salus pointed out in his 1994 book, “A Quarter Century of UNIX,” “the main motivation for the creation of a license-free Unix lay in AT&T’s fees.” That was because, by 1978, the cost for a license of AT&T Unix was more than $100,000. By 1993, it had neared $200,000. It’s easy to understand the strong push to build a free-as-in-beer Unix clone under these circumstances—especially if the clone had the added benefit of being easily compatible with personal computer hardware, rather than the expensive, institutional mega-computers for which Unix was originally designed. That, at least, is the conclusion I have reached, based on research with primary sources that date to the time period in question—as opposed to essays such as Raymond’s, which were written after the fact, by authors who were inclined to perceive the narrative in particular ways. If you think I’m wrong—which happens a lot, actually—I’d love for you to point out why in the comments below, or to contact me privately. But, since I am in the business of writing fact-based history, I’d just ask you to do one thing: Show me the (primary) source that proves your point (to paraphrase Richard Stallman). When you provide the primary source that proves your nonsensical allegation that sharing the code was not part of the early linux movement, then perhaps it will be worth someone else’s time to argue with you, until then, you are just catering to a political stance on code. What about FreeBSD and lawsuits with AT&T ? You are arriving at your conclusion by deliberately confusing Linux the kernel with (GNU/)Linux the operating system/distributions. However, within the greater historical context of the free BSDs and the GNU project there was very definitely a push for freely sharable Unix clones. And while Linus’ very early releases contained a “not for profit” clause, he then shifted to the GPL because he saw it as a good fit (“use but share”). Your conclusions do not make any sense. If Linus had access to minix source code, and all he wanted was a free-as-in-beer Unix, he could have just pirated minix. Clearly his motivation was not to have a gratis unix, but to create unix clone that others could share. Similarly you say that early hackers were not into sharing code but just wanted to use Unix. But if you care about coding and computing you naturally want to show others what you did and associate with those who have the same interest. If they did not care about “hacking” then why would they want unix in the first place. Your reasoning is as if Issac Newton wrote a letter proclaiming the interest to discover motion of planets and based on that you concluded that he did not care about laws of nature but strictly about motion of planets. Since source code, as you point out, was not an issue because it was available, the ability to use it became the focus. Prohibitive use costs demanded that the focus go there. If UNIX/Minix source had NOT been available for study without the license payment, you might have a point. As someone involved with Unix since 1983, I agree with you. I wanted a free Unix and there was not one. SCO did a single user free Unix AFTER Linux; if they had been smart enough to do it before, I doubt Linux would have bothered. I think somewhere there might even be evidence of that; I might have something at my site – I’ll poke around. I don’t agree with you about “most of the momentum behind the open source operating system revolved around building a Unix-like system”, I don’t see data that support your “most” part. I would agree free is one of the important factor, but at the same time, the important of code sharing is the other factor that makes it success. Just imagine, if Linus would only give out binary and its source code were restricted as Minix, would you think it will succeed? Are you completely ignoring the existence of BSD for years before Linux under a license much more “free” than the GNU GPL? Or that even back then Stallman fundamental stated goal was that the end user should have access to all the source code for everything they used? The GPL was fundamentally engineered to provide that from its inception, which was back farther than I can remember. Interesting article, though the author is neglecting a lot of the proprietary systems in effect in the late 70s throughout the 80s. DEC hardware and software was very popular during those years, with systems such as the DEC 10/20 and the various PDP models running 16 and 36 bit OS’s, CDC 6000/7000 hardware running 60-bit OS’s, and Cray computers running 64-bit Unix as well as CrayOS. Big Blue was also running its own non-unix software. Also, there is no mention of BSD as a separate trend away from AT&T unix. BSD could run quite well on DEC Vax 32 bit hardware, and the DEC AlphaPC, a 64-bit workstation, could run VMS, DEC Unix, or Windows NT. Unix really began to be widely adopted with the advent of BSD and demise of proprietary companies like DEC and CDC. By that time, the 32-bit PC was becoming affordable, allowing for the development of Linux as an alternative to Windows / DOS. The 70s and 80s were times of extreme change in computing, and to classify the computing world as largely DOS or Unix-oriented is very much a simplification. The implication that most OS’s in the 70s and 80s was either DOS/Windows or Unix is very much neglectful of: CDC 60-bit proprietary systems, DECSystem 10/20 36-bit systems, DEC PDP-11 proprietary 16 bit systems, DEC Vax 32 bit systems running VMS or BSD Unix, DEC Alpha systems running DEC Unix/VMS/Windows NT, and Cray systems running both SystemV or CrayOS (64 bit). Unix and Linux did not come to the forefront really until the late 80s and early 90s with the dropping prices of PC hardware, and the need for an alternative to Windows/DOS. Anonymous should have bothered to read the first part of the article before trolling. Mr. Tozzi cited references. In your upcoming book, you should try to interview former AT&T employees and see what was the underlying logic for pricing Unix out of the market. Were they trying to kill the offering? It looks like they wanted these pesky customers to stop ordering these tapes because it was such a small market. I do recall at the time, before Linux was released, that one of the primary complaints about Minix was that any improvements had to be distributed as patch sets only. Therefore almost all installations of Minix (that weren’t the official distribution) had different combinations of patches applied. Oh, and Minix was generally available to the public, I think it was around $100 or so from Prentice Hall or something like that. And the license did allow you to distribute up to 5 copies of it from each purchased copy, or unlimited copies if used in a class room. The reason for this: at the time, online access to download it wasn’t universally available. So Tanenbaum needed to have a physical distribution available — and the only way Prentice Hall would publish it, is if it wasn’t also freely downloadable too (so they could be assured of a minimum number of sales). I went through the patches to get Minix 1.3 up to 1.5 on my 286. I upgraded everything except the compiler which didn’t have source. Andrew T. didn’t accept patches and because of the book, couldn’t make it freely available. You clearly don’t understand the meaning of ‘free’ software. Freedom 0 – The Freedom to run the software how you wish. Freedom 1 – Is the freedom to modify the software. Freedom 2 – The Freedom to share the software. Freedom 3 – Is the Freedom to publish your modified version of the software. These 4 “Freedoms” constitute “Free Software” . First of all, Linus said this himself – in ‘Revolution OS’ – that Richard Stallman’s philosophy was really the drive behind GNU/Linux …”Think of Richard Stallman as the great philosopher, and think of me as the engineer…”, he said. When Linus said free, he meant just what Richard stood for even then, free as in freedom, and that would include open source, but not necessarily free as in beer. As in the above example. There is nothing that says that you can’t sell Linux as a distribution. Something that you put together and license. In fact Stallman and others were compiling, packaging, and selling images long ago in order to make money to keep developing and/or living. Stallman also sold books and such to live while continuing to lecture about software patents. Something that I believe he is still doing today. Linux and the GNU tools were meant to be free as in freedom, more than free as in beer. So I think ultimately you have it backwards. Linus has always agreed with free software as a philosophy. (youtu.be/KE2pxQScFXQ + youtu.be/WVTWCPoUt8w) — see the early clip here from “the code”, there should be no doubt what Linus thinks about open source. Though you could always write and ask him directly, that would probably be a good idea if you are interested in writing a book. I am not sure why this is a question for you. Cost has never been the issue for hackers, just an annoyance. Software doesn’t cost hackers money — it cost the average person using it money and introduces a barrier to use for collaboration between people working for separate companies or on different operating systems. Consider the ultimate reason for Unix to begin with. Portability. Ever heard of the Snoopy Calendar, written in FORTRAN? (gunkies.org/wiki/Snoopy_Calendar) Code has been being shared since the beginning, long before Linux was even an idea. Scientists have always be in favor of sharing information. Companies and others have been in favor of producing proprietary works for financial gain. This has little to do with Linux and everything to do with getting work done. If you know how something works and you can alter that code, it is easier to take the next step and create something. It is very hard to create when you are restricted, as one is with closed-source. If I need to have the same exact hardware and software as someone else, it is much harder for us to share, and for the community to help each other and thereby itself. Think Solaris. Solaris was and is more stable than Linux — but there is a large, expensive barrier to entry. Proprietary hardware, and software makes things harder, not better. That is an engineering decision for Linus, not a political one. http://www.youtube.com/watch?v=WVTWCPoUt8w — (3rd reference from this one. )the one time, that I know of, where Linus talks about money being a factor, and that was during his young life, not after university. And talks about why he developed Linux and some other bits. Even if you are right, which it is the point?, if you think deeply does not matter. May be at the beginning was as you say, but no more than some years after the movement reach the goal of a free as beer Unix, so the goal change because you reach the first one, so from that time to go on, the focus it is about free of speech. in 1992 I started using Linux because I couldn’t afford a proprietary Unix system of my own. I got into the Freedom side of FOSS later. Now I’ve been a Debian Developer for over 10 years. In my experiance of the time ( I have been in IT since 1970 ) this missis a point: In all but IBM most mainframe programmers shared code – either within user groups or with the the hardware/software suppliers. In addition the hobbists shared code and techniques. So pre-Torvalds there was a culture of sharing running alongside ( or below if you will ) the costed software. Apple, Microsoft and Digital changed that with their operating systems – which however were all cheap enough for most people to purchase. Why don’t you just ask Linus? Why don’t you just ask Linus? He responds to emails. I used a Unix like OS called OS9 from the early 80’s. It was not expensive – a couple hundred dollars if I recall. It ran on my Tandy Color Computer which was more powerful than an IBM AT. I could run 16 programs at once since I expanded the RAM to (gasp!) 512 K from the original 64K and added a hard drive. It also had GUI word processor and drawing programs available. When I finally got an IBM in 1989 I was shocked at how primitive it was. I programmed in BASIC09, FORTH and assembler on the COCO. Having been there, I consider myself a primary source in support of this theory. At the time of early Linux development, the sharing of code had nothing to do with ideology. It was purely about practicality. As Linux became bigger than Linus had imagined, it became necessary for many coders to contribute to the project in order to keep it growing and improving. The only practical way to do this for a software project that didn’t pay its developers was to share the code among them. Since it was free, there was no point in hiding it like a commercial project. The source just became open by the nature of this public code sharing. It wasn’t until Stallman’s GNU project became intertwined with the Linux kernel that the ‘religion’ of F/OSS became attached to Linux itself. Frankly when I think of Linux in those days, the word that comes to mind is ‘Dictatorship’. Linus ruled the code and the project with an iron fist (and rightly so IMO). He’s downright mellow today by comparison. Certainly it was a very collaborative effort, but the mood around it was not in any way the hippie-esque, it belongs to the world kind of environment that exists today in the mind of many. Free then meant you were free to access the code, and free to modify it, and also free to get your head torn off and driven from the Internet if your ideas weren’t in line with what Linus (and later his lieutenants) thought they should be. “Did Linux take over the world *because* he GPLd it” is a completely separate question from “Did Linus create Linux with anything like the GPL in mind”; the answer to the latter question is clearly “no”. I’m quite certain that Linux would not have propagated near as much as it has had it *not* been distributed under the GPL, but the fact that it was originally released merely under a non-commercial license supports this argument pretty well, IMNSHO. I was an engineering student in the early ’90’s. I got into Linux, only because at the time, I could not afford an SGI or Sun workstation, yet wanted my own UNIX system. Having actually lived it, yes, I agree a lot of the creation of Linux was because there was no viable free ( as in beer ) UNIX at the time. in fact, I remember a lot of us early Linux adapters making fun of Windows Users because NT was pretty expensive, with even more expensive compilers to buy, and very crash prone at the time, and we had a free UNIX clone that was rock solid with free copilers. It is a shame when bloggers write articles without doing any research. Free as in beer means, anyone can easily get a recipe for beer. They are free to take that recipe for beer and modify it for their own tastes. They are completely allowed to sell the beer they make as long as they put the recipe to make on the bottle. This is because the ‘beer makers’ in the free software movement recognize that they may have a good recipe for beer, but it is probably not the best recipe for beer. the GPL license also recognizes this by adding that if you use my recipe for beer, and make changes to this recipe, you need to let me know what changes yhou made, so me and my friends can decide whether I can improve my beer for us by incorporating your changes. It is NOT about monetary cost… it is all about having the freedom to make something that exists better.. better for my own situation, or hopefully, better for everyone else. I bought Minix around 1991.
looks far far far away from it my mate from all that i have read in my life till date at the least…..i can affirmatively say that you got a bogus book coming up….try to google first and spend time on the open source and free software forums mate….maybe you’d have better luck than those contacts you talk too who give you ill info…. when freedom reigns – the clutches loosen, relations strengthened, peace of mind and loss of insecurity…..
I’m trying to figure out how the fact that the source code being available was a given means that it was not important. This does not follow. It was very much a primary consideration of the group around Linux that the source code should be available right from the beginning. Yes they wanted a no cost version of Unix with the source code available. If the source code had not been available for Linux, nobody would have cared about it at all, and the impetus for development that made it important would never have existed. The availability of source code was definitely a primary consideration, not one of secondary importance. Now, if your point is that at first this was not an ideological but a practical consideration, then that’s easy to support. I think that’s already the general consensus when it comes to Linux. However, it originally being a matter of pragmatism rather than ideology didn’t make it any less important in the minds of those involved. It was absolutely critical, not a secondary consideration at all. Of course there were also people who were attracted to Linux when distributions first started showing up because it was a way to run a Unix-like OS for free and who didn’t care about the source code. These people, however, were users and not developers. In its infancy, Unix was an Open Source project, and it was widely shared among Universities, where the University of California at Berkeley contributed most back to A T & T code. Later Bell Labs closed the source and started charging money and before long, Unix was sold off altogether. The license fee of $ 100,000 is not very high, as proven by the large number of companies that obtained a source license and started selling their own binary versions. A binary copy of Microsoft Xenix for the PC AT would cost closer to $ 1000. Linux later had ate it’s successor’s (SCO Unix) lunch. There were other successful PC Unices. Minix was an Open Source OS for the PC XT developed to serve A.S. Tanenbaum’s educational purposes. Linux wanted to build a more advanced system for the 32-bit i386 processor and speed up development, so he created an OS of his own. Linus could not have reached his goal on his own, so he started to build a community on the Internet, which was becoming widely and cheaply accessible. Even with this help it would be slow going, so he used the GNU software of the Free Software Foundation. Minix proved that a cheap multi-user multi-tasking OS for the PC could be attractive, but Linux was Free Software from the start. It is also true that Linus tends to be much more pragmatic than Richard M. Stallman’s ideological stance. To my way of thinking, hacking is a state of mind and culture accretes around groups of like-minded individuals. Thus there are as many distinct ‘hacker cultures’ as there are groups of like-minded individuals, all hacking away at something. Given this as a working definition, it is trivial describe any group of system boundary explorers and tinkerers as being hackers. Note that in this sense I use the term system to describe any agglomeration of rule-based activities. IT systems hackers are only one example, albeit probably the most widely recognised by those outside of the groups. You can argue that accountants who work to identify wholly legal ways of saving their clients’ money are hacking finance regulations. Doctors and researchers seeking new ways of addressing disease, physical and mental, are hacking the human condition. The guy in the garage who is able to fix your car without resorting to randomly swapping out parts until the idiot lights go out might be an automotive hacker. When thinking about what it is to be a Hacker, let’s try not to get too hung up on the idea that Hacking is all about computers and software. To somehow think that you are immune to negate being “inclined to perceive the narrative in particular ways”, as you say ESR did, I have to question the validity of your statement. Not that I doubt your attempt at objectivity, but there seems to be a bit of hubris there, even though you admit to being fallible. Just leave ESR out of it and state your intent. You might be taken more seriously && obtain more cooperation. Good luck. Trying to reduce their motivations to one overriding concern is obfuscates the real story. Even if their main concern was having a free unix system at home, that’s not somehow incompatible with the belief that sharing code was better than the proprietary model. Maybe their primary motivation was to have a free UNIX system they could use at home, yes, but that does not diminish the significance of the fact that Linux became the poster child for open source or that they simultaneously agreed with the idea publicly shared code is better. You make it seem like they were faced with some stark choice of either wanting a free as in beer operating system or a free as in freedom one when they were not. But even if that were the case, then why did Linus choose the GPL? Why did early users integrate Linux into the GNU ecosystem–encumbered as it was with GPL restrictions–if they were not comfortable with the political stance it represented? Nobody has even so much as mentioned the reason Ken Thompson created Unix (or, as it was first called, Unics) to begin with: withdrawal symptoms when Bell Labs pulled out of the Multics project. Had Honeywell managed Multics properly there would probably have been no market for Unix in the first place.